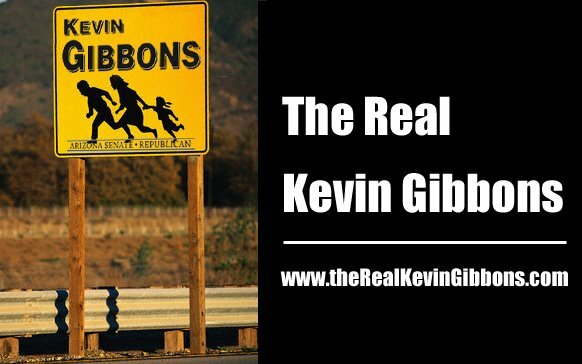 MESA – District 18 Senate Republican Candidate Kevin Gibbons has received over $1,500 in campaign contributions from Millionaire developer and former Democrat Party Chairman Jim Pederson and his family. Arizona voters will remember Jim Pederson as the former chairman of the Arizona Democratic Party who also ran as the Democratic nominee for U.S. Senate against Senator Jon Kyl. As Democratic Party chairman, Pederson is remembered for having supported and helped to fund the Clean Elections Initiative, which limits our 1st Amendment rights in state elections. He also is considered to have been instrumental in recruiting Janet Napolitano to run for Governor. Napolitano has gone on to push through a bank breaking 2008-09 budget that includes reliance on debt, property tax increases, accounting gimmicks, fund sweeps, speeding tickets, and increased state gambling just to keep things in balance. In 2006, Jim Pederson spent millions of his own money to bankroll his Senate campaign. In the end, he lost to Republican Senator Jon Kyl by nearly ten points. Now, Jim Pederson is using his money to fund the Governor’s State Trust Land Initiative and has donated money to the redistricting initiative effort. “Pederson is up to his old tricks in targeting trusted Republicans just like he did as chairman and when he ran for the United States Senate against John Kyl,” said Husband, “The Arizona State Senate can’t afford any more people who take their cues from the Governor and her people. We need someone who will stand up for the taxpayer and promote fiscal responsibility. In addition to Mr. Gibbons, District 18 also has Russell Pearce, who spent 8 years in the Arizona House, seeking the Republican nomination to replace Senator Karen Johnson as the State Senator for District 18. He is running as a clean elections candidate, while his opponent, Kevin Gibbons is running as a traditionally funded candidate. “We hope Mr. Gibbons comes to his senses and gives the money back to Jim Pederson”, said Tom Husband.